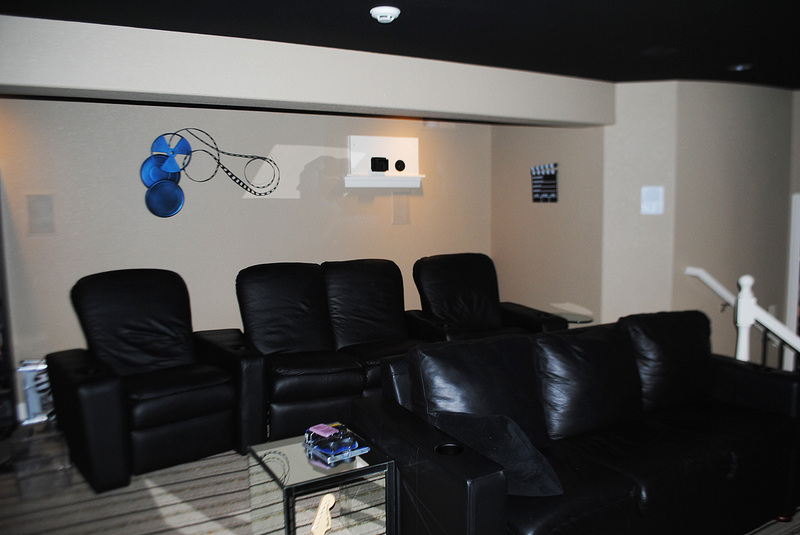 Working with the homeowner and architect, BC Neville Tech carefully designed and created a Hollywood Screening Room. 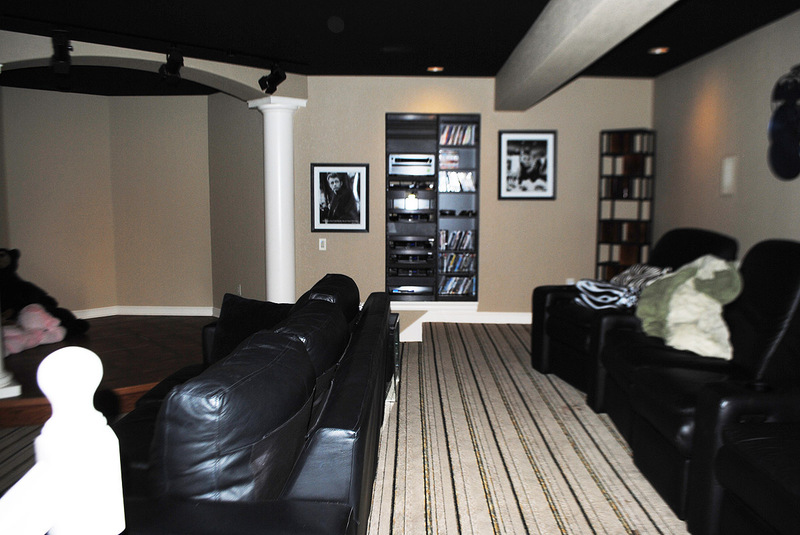 This room offers the perfect home-theater experience. From each custom leather seat, viewers enjoy optimal sound and viewing from high-end components elegantly contained in a custom sliding Middle Atlantic Rack Enclosure. System components: Onkyo-Reciever, Speaker Craft Amplifiers, Sonos-Music, Panamax & Monster Surge and Power Management, JVC Full 1080P HD projector, and 160+inch DA Lite theater screen. This screening room was carefully designed to meticulously represent a Hollywood Screening Room. BC Neville Tech worked closely with both the customer and architect to design every feature of this room. 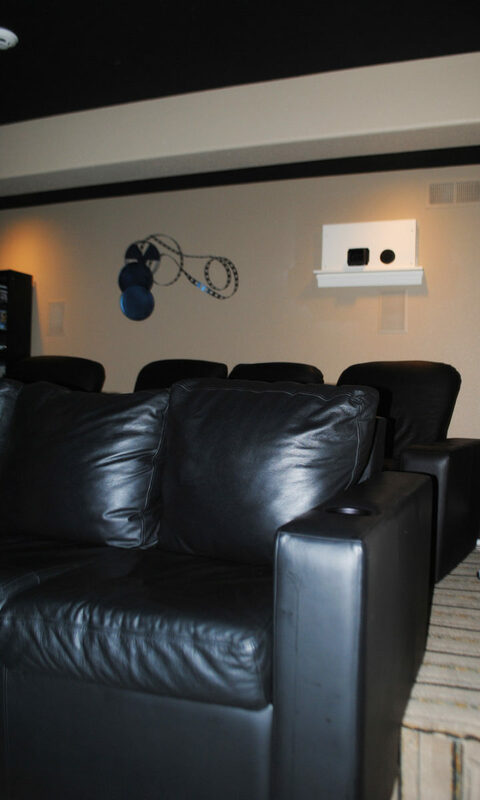 Some of the key features of this Screening Room are custom designed, finest quality leather, theater seating. Together with the architect and the furniture manufacturer, BC Neville Tech designed and produced true one-off custom seating for this Screening Room. an optimal sound and viewing experience from every seat in the theater. All of the systems components (Onkyo-Reciever, Speaker Craft Amplifiers, Sonos-Music, Panamax & Monster Surge and Power Management), are elegantly contained in a custom sliding Middle Atlantic-Rack Enclosure. 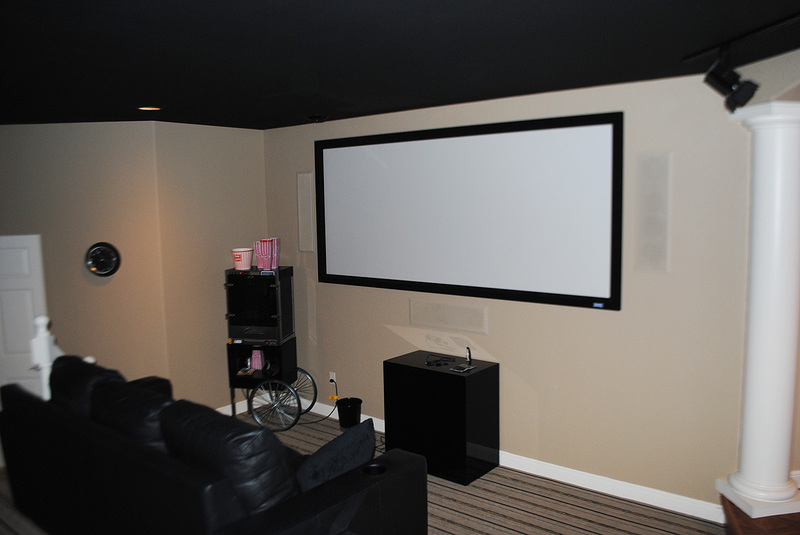 The Audio/Visual components are paired seamlessly with a JVC Full 1080P HD projector, and 160+inch DA Lite theater screen.